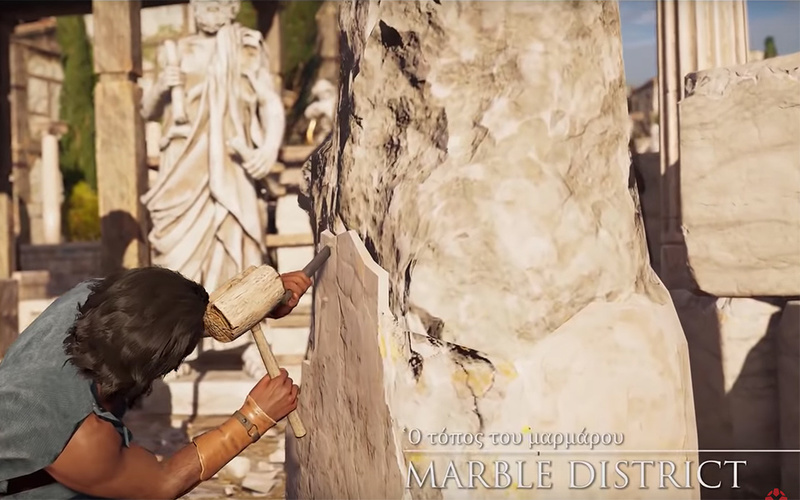 The latest instalment of the popular video game series features a gorgeous and relatively accurate depiction of ancient Athens, on display in a new trailer. Ancient Greek history and mythology has long been a source of inspiration for dozens of TV series, movies, novels and video games. But as far as the last are concerned, there has never been a work as ambitious as Assassin’s Creed Odyssey, the latest instalment in one of the most well-known and successful gaming franchises of the past decade. For non-gamers, Assassin’s Creed is an action-adventure series developed by Ubisoft. The central struggle is the battle between the Assassins and the Templars, depicting the way that two completely different philosophies and ways of life (free will on the one hand, and rules and order on the other) clash through the centuries. The first game was released in 2007 and since then new instalments have been released on an almost annual basis with the total sales surpassing 100 million copies. Having explored a slew of important historical periods, from the Renaissance and the American Revolution to the golden age of pirates and ancient Egypt, the time has come for the series to take the step that everyone has been waiting for, transporting us to ancient Greece with the latest instalment Assassin’s Creed Odyssey. Historically accurate settings will be the backdrop for a fantastical journey. The game aims to depict not only the ancient city, but the everyday life and atmosphere. The game’s map is enormous, including the entire Aegean, from mainland Greece and the Peloponnese to the Cyclades and Crete. 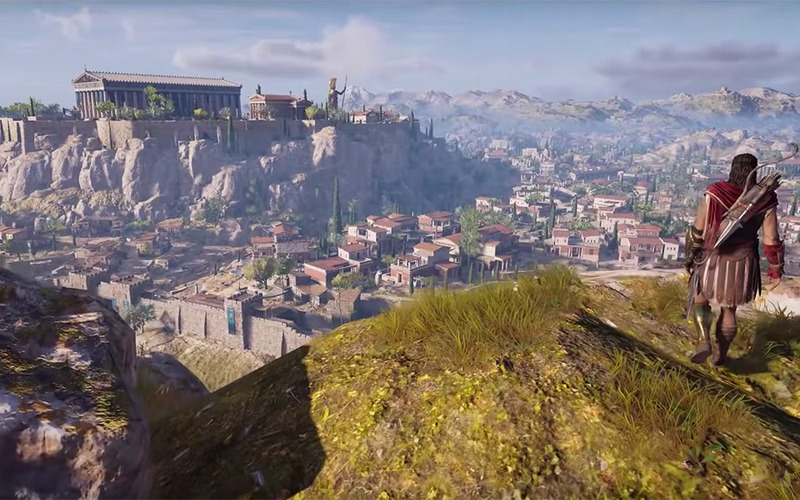 And as one would expect, the ancient city of Athens is a key location, with Ubisoft’s team having created a stunning digital version of the ancient city complete with the important districts and most historic monuments, fully capturing the city’s unique atmosphere. 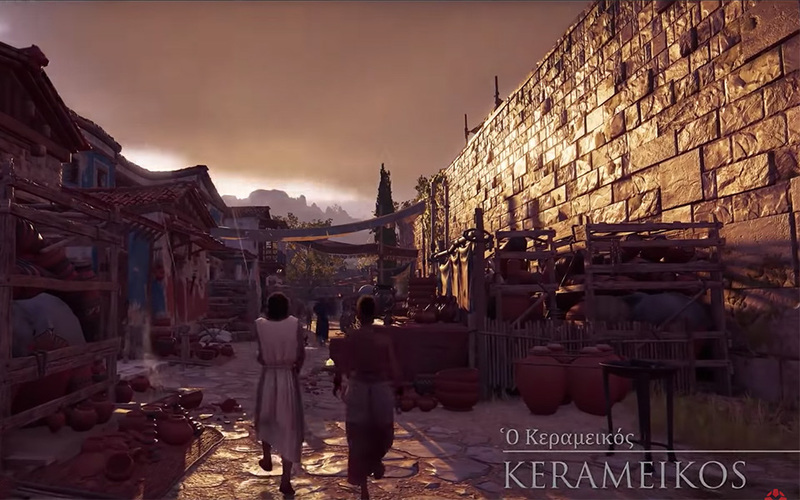 Players will be able to explore detailed renditions of ancient Athens' most important neighborhoods. 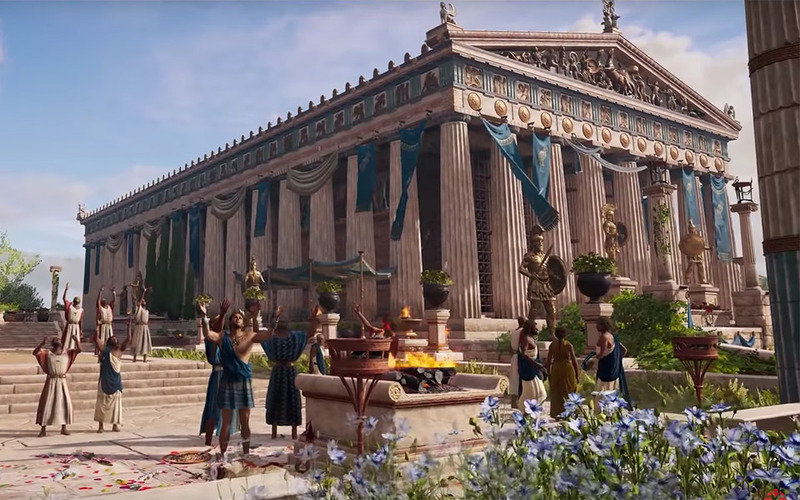 In the recently released trailer for the game (see above), one can begin to get a sense of the level of detail in the recreation of ancient Athens. Stunning colors, fantastic locations bustling with life, and an impressive level of historical accuracy (especially considering that we are talking about a video game) yield an interactive tour through ancient Athens that fuels the imagination. Assassins Creed Odyssey may well prove to be an exceptional spur for a new generation of gamers to visit Greece and Athens. The way that it captures the atmosphere of the latter in its golden age is so successful that it masterfully triggers the need for people to visit the city and admire it in its present form. To see up close all those buildings and monuments that continue to stand imperiously thousands of years later. To walk the flagstone paved streets and feel a sense of overwhelming awe climbing the steps of the Acropolis. In a few weeks, Greece will be a central talking point in the gaming community and that will be thanks to Assassin’s Creed Odyssey and Ubisoft. All we need to do – like millions of gamers around the world – is enjoy the game and allow it to transport us thousands of years into the past. Assassin’s Creed Odyssey will be released by Ubisoft for the PS4, Xbox One and PC on October 5 and is distributed by CD Media. Read next Could Greece Become a Video Game Production Hub?